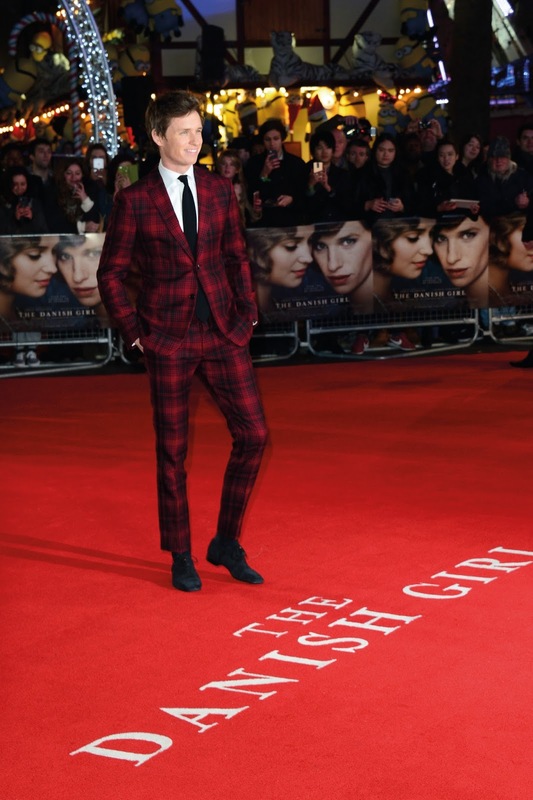 The UK Premiere of THE DANISH GIRL at Odeon Leicester Square on December 8, 2015! From Academy Award-winning director Tom Hooper, and based on the book by David Ebershoff, the love story is now playing in New York & Los Angeles and will open in additional cities soon. The remarkable love story inspired by the lives of Lili Elbe and Gerda Wegener (portrayed by Academy Award winner Eddie Redmayne ["The Theory of Everything"] and Alicia Vikander ["Ex Machina"]), directed by Academy Award winner Tom Hooper ("The King's Speech," "Les Misérables"). Lili and Gerda's marriage and work evolve as they navigate Lili's groundbreaking journey as a transgender pioneer. What do you think of the black & red suit worn by Eddie Redmayne?